These shoes scream, “Take me on a hike!”. The Snohomish from our friends at Northside will put you in the mood to hit the trails. With a super sturdy sole and added protection around the toes and heels, our feet were well taken care of on a recent rocky hike through Joshua Tree National Park. No worries about Jumping Teddy Bears (the little spikey pieces of the Cholla cactus) injuring our feet as we trekked through the Cholla Cactus Garden. These are comfortable shoes with a cushioned insole, and they are waterproof so they’ll be great in all types of weather. 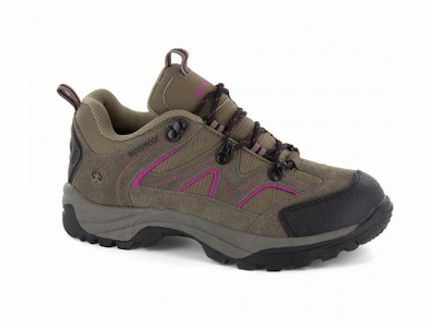 An all-around fantastic pair of hiking shoes.